We prepare the lease, have the tenants sign it and send it to you for review and execution. 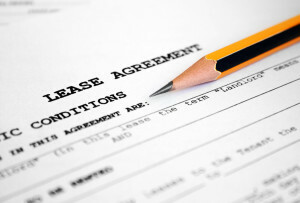 Until all parties sign a lease, and have received an executed copy, the agreement is not legally binding. Through our Management Agreement, we have the power to sign on your behalf but we generally do not sign the lease unless you are unable to sign it yourself. We use the standard Northern Virginia Association VRTLA Lease in Virginia and GCARR Lease in Washington, DC which is provided by our Local Association/Board (with a few company specific changes). It is kept up-to-date by the Local Association and State Association legal counsel, with new requirements or protections offered under the law. We do not change these leases and if you would like to review them before we begin marketing your property, please let us know and we will be happy to provide you a copy. Although we complete the lease with the terms agreed upon in the rental application and your approval, the final review is your responsibility. The leases contain a Landlord Transfer Clause which allows you to terminate the lease by giving 60 days’ notice to the tenant in the event you are transferred back to the area by your employer. It also contains a military transfer clause. We include additional lease clauses specific to our managed properties. These terms/clauses/addenda are included to assist us in managing your property to our company standard. The inclusion/addition of these help us maintain the excellent track record of low late payments, evictions, maintenance costs and several other key performance topics. Once the lease is executed, we collect all the funds included in the lease due at the time of execution. If the tenant does not provide us notice to end the lease, we will coordinate a lease renewal. We always attempt to increase the rent if the market will support it and if the tenant agrees. If the tenant does not agree to a rental increase we discuss the option to remain in the property at the same rate for another term. This is a cost benefit decision we make for you. If the tenant does agree to renew the lease we will either redraft the lease or create an addendum to the current lease. We do charge you a lease renewal fee for the services at the agreed rate in our management agreement. If a tenant decides not to renew the lease, we will let you know and begin marketing the property for rent. Before we begin marketing the property for rent we review the condition of the property and provide you a list of any needed repairs or improvements in order to successfully lease the property to a new tenant. We normally start marketing 60-45 days before the tenants move out. Be sure to check the specific terms of your lease for the required notice to provide to the tenant. Please provide us the notice and we will notify the tenant of your intention to terminate the lease. In most leases, the tenant will also elect to include the transfer clause in the lease. If the tenant’s employer transfers the tenant, they are required to provide us the notice within the specified time period. If it is a military transfer, it must be included in the lease as required by Law, and the notice may be as little as 30 days. If the tenants provide us notice to terminate the lease early. We will notify you and make the necessary arrangements to market the property for rent to secure a new lease as close to the tenant’s termination date as possible. There are specific terms for a tenant who terminates their lease early. They will be required to pay a fee terminating the lease early to cover your costs of re leasing the property. Be sure to check the specific lease terms of your lease and we will also notify you of the terms associated with their early termination. If either you or the tenants do not want to renew the lease, either party must give written notice of his intent within the time frame noted in the lease. It is normally 60 days prior to the lease termination but refer to your lease for the required days’ notice. Please check your specific lease for the term agreement and conversion to month to month. We prefer not allow month-to-month leases, unless your current lease terminates during the winter months and you want to wait for a better time of year to re-rent it. It is usually better for the landlord to have a specific lease term for planning purposes. We don’t recommend month-to-month leases because of the risk of vacancy in the winter, the worst months being October, November and December. If your current lease terminates during the late winter months, it definitely makes sense to offer a short terms lease for a few months in order to have the property become available in the spring/summer season. We can specify that the month-to-month term will not extend beyond a certain date, upon that date we can sign a 12-month renewal with the tenant or market the property.